The page editor is where you will edit all of the content for each of your site's pages. Since it is likely that you will spend the bulk of your time in the page editor, it's important to understand how it works. Each page of your site is built using 'Sections' and 'Blocks'. 'Sections' are separated sections within a given page (you can think of them as smaller pages within a page). 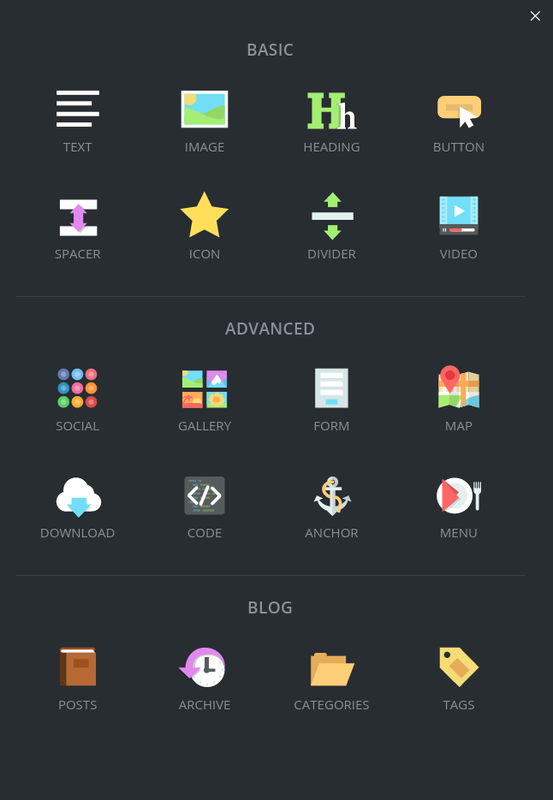 The sections within your page can each be customized to help give your website a unique and professional look. Each 'Section' within the page is comprised of 'Blocks' (text, image, videos, buttons, etc.). For more information on 'Sections' and 'Blocks', please keep reading below. One other quick note: it's important to understand the difference between 'Saving' and 'Publishing' changes to your site. When you click Save in the top right hand corner of the page editor, all fo the changes you have made to the page will be saved in the editor. However, these changes will NOT be published to the live version of your site. If you want to publish the changes to your live website, click Publish (this will save the changes in the editor AND publish them to the live version of your site). As you scroll down the page in the page editor, you'll notice the different sections on the page. To make changes to a section (customize it, create section slides, duplicate or delete a section, etc. ), scroll to the right hand side of the section you would like to make changes to and select what you'd like to do. To add a new section to a page, just click 'Add a Section' from the options listed on the left hand side of the page (under the 'Add a Block' option). 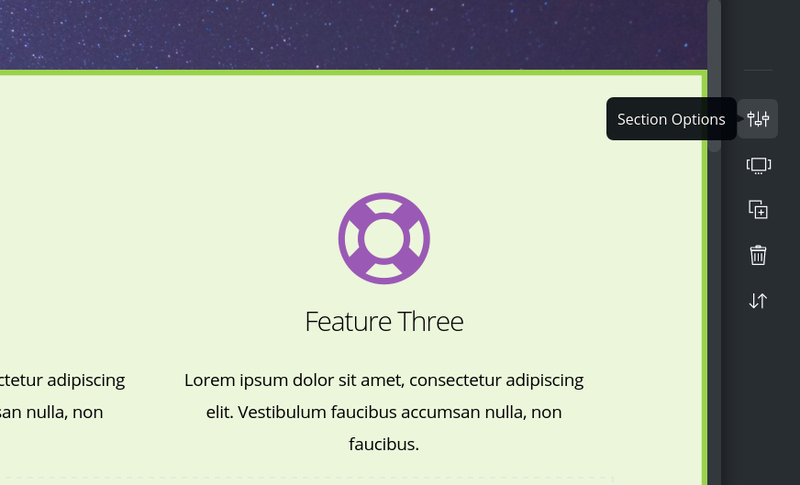 Now that we've explained how page sections work, we can move onto the page blocks. As we mentioned earlier, each section is made up of different types of 'Blocks'. To view all of the blocks that can be added to each section, click 'Add a Block' from the left hand side of the page. 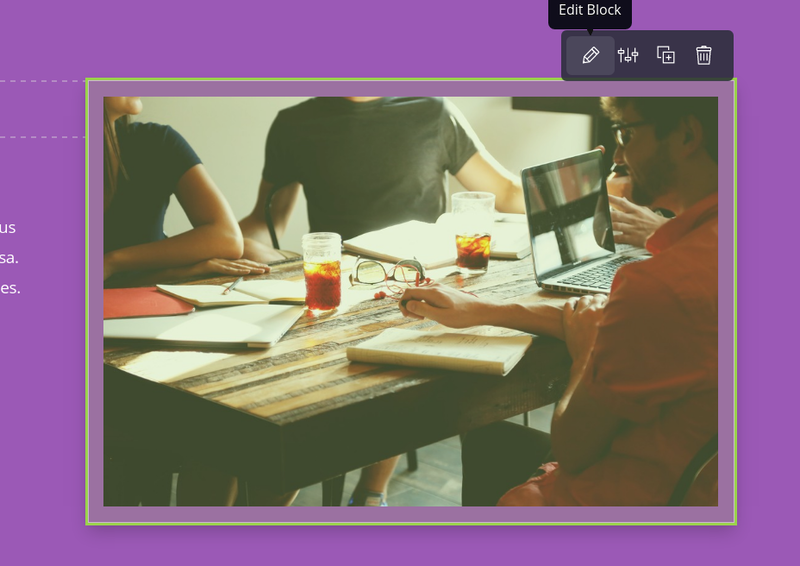 To add a block to the page, simply drag and drop the block to wherever you want to add it on the page. Once a block has been added to the page, you will be able to make additional changes to it. To view the options available for the block, just scroll over the block itself. When you do, additional options should pop up in the upper right hand corner of the block. While most of the blocks of content are pretty self explanatory, some of them may be confusing. If you have any questions about specific blocks, or get confused with the additional options provided for each block, please let our support team know - we're happy to help. Editing different pages: To quickly switch to another page for editing, click 'Edit a different Page' from the left hand side of the page while in the page editor. From there, select the page you wish to edit and click the 'Edit' icon to the right of the page. Page Settings: To view additional settings for the page you're editing, click 'Settings' on the left hand side of the page. The options listed here are the same options that can be found within the 'Pages' section of your account. For more information on the page settings available, please refer to the bottom of the help article found HERE). Screen Size: To view what the page will look like when viewed with various devices, click the 'Screen Size' option on the left hand side of the page. From there, you can switch between Desktop, Tablet, or Phone. This will help you immediately visualize how the content on your page will be viewed from each type of device. Previewing the Page: To quickly preview what a page will look like online, click 'Preview' at the top of the page. 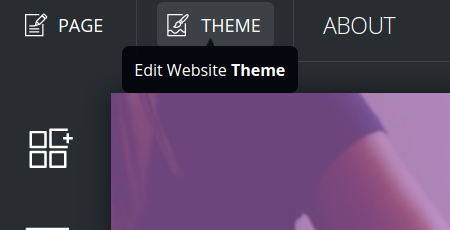 Switching to the Theme Editor: To quickly switch from the page editor to the theme editor, click the 'Theme' tab in the top left hand area of the page editor. To read more about the 'Theme' editor, please click HERE. If you have any questions about anything in the page editor that was not covered, please do not hesitate to let us know. Happy site building!